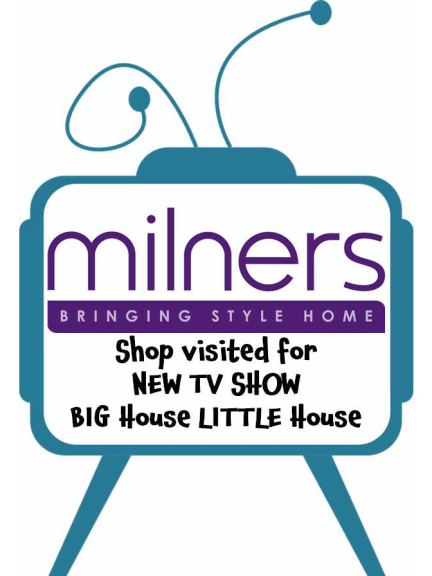 It was anything but a normal day in Milners in Ashtead when the production team for a new Channel 4 show – Big House Little House dropped in. The show looks at 2 families and sets them the task of renovation but on 2 very different budgets. Helping them on their way will be one of the UK’s most successful commercial designers Aidan Keane. We are awaiting details of when the show will be screened – but we’ll let you know. Want to hear more about this exciting new show – a must for the DIYers.